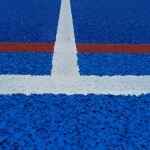 If you need netball court line marking specialists for your facility, we offer a range of expert services for this. It’s important to have clear lines on a sports court to make sure that matches are accurate and players are able to follow the rules of the game. 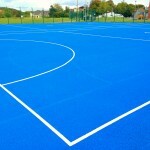 We can apply acrylic coloured markings to these courts in a variety of colours, along with additional lines for different activities. We’d be happy to discuss the costs of this work in more detail and provide you with a quote to apply new painted lines. Just get in touch with us today if you’d like to enquire about a project or get some more information. 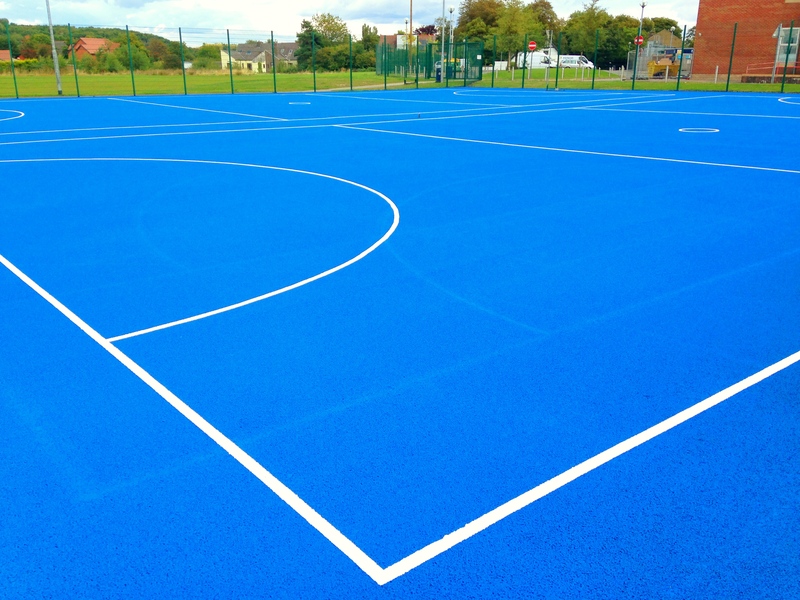 Netball court line marking can be applied to a range of sport surfacing specifications at schools, leisure centres and clubs in bright designs to suit personalised school or team colour themes. 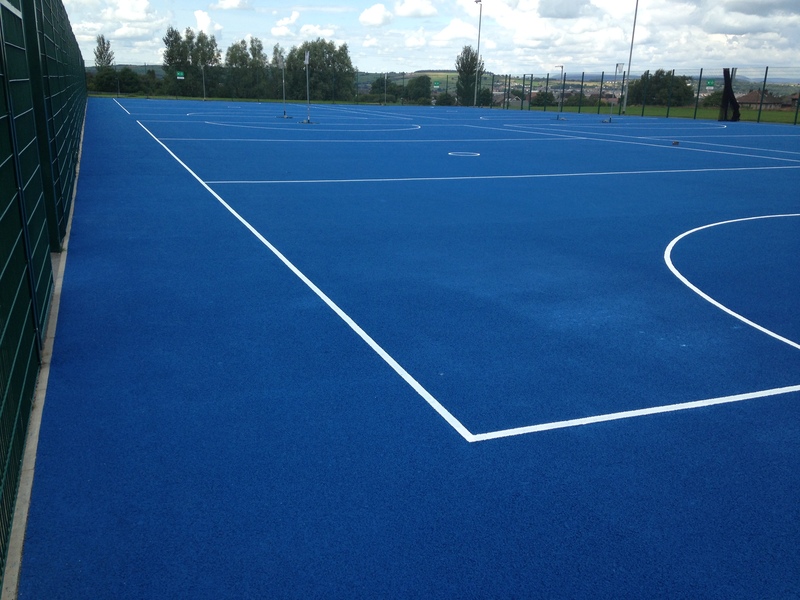 The specialist paint coatings provide the sports surface with great slip resistance characteristics to enhance game play and improve the safety of the outdoor surfacing. 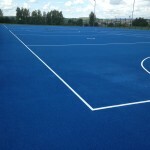 The sport court coatings and line markings can be applied for a number of different activities such as tennis and basketball if you want to install a multi use games area rather than just a netball surface. 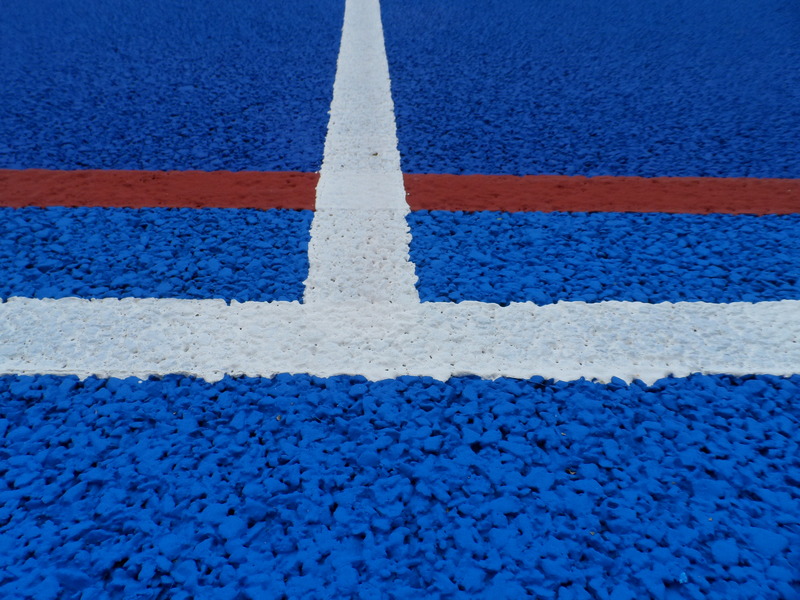 It’s important to choose the right kind of anti slip paint for your outdoor activity area as we usually apply the netball court line marking and colour coatings in either acrylic or polyurethane paint depending on the specification of the surface. 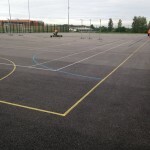 To ensure that your sports facility is safe for use and can provide accurate scoring during game play, it’s important to have netball court line marking application carried out by a specialist contractor with professional experience and case studies of their previous work. This will help to make sure that the sizes and dimensions of the netball line markings are precise, and that the slip resistance qualities meets the required performance and safety standards outlined by the netball governing bodies. 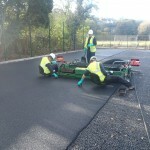 The costs for netball court line marking will usually be included within the total price when you have a netball surfacing installation project carried out. 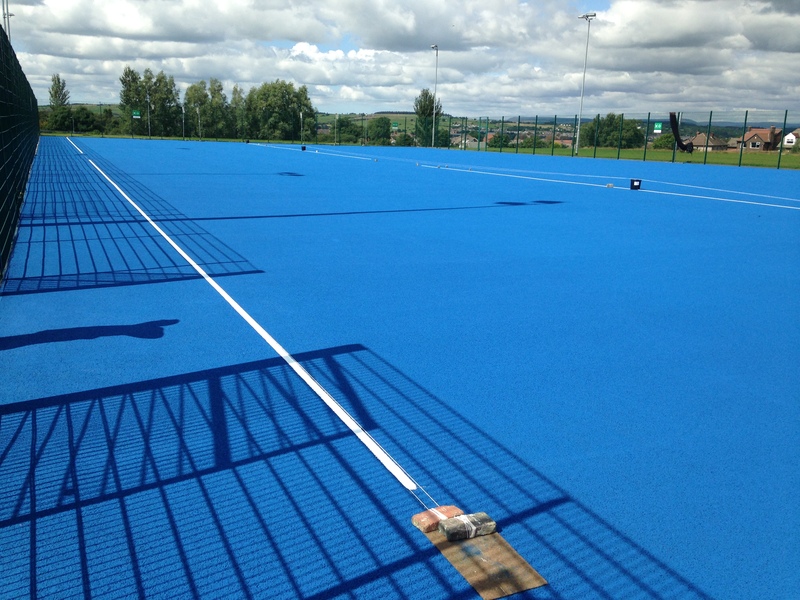 The prices for non slip sports line markings can however vary depending on the surfacing and paint specifications and the number of sports you want to have the facility line marked for. If you are having a full netball court installation, the costs can be managed through a number of variables which are included within the overall construction process, for example surface specifications and extra fencing or floodlighting equipment can be adjusted to help keep prices down. 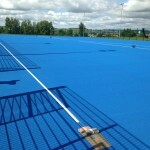 For more information on the fencing options we can provide for these facilities, take a look at this page – https://www.sportsandsafetysurfaces.co.uk/sports/netball/fencing/ which explains further details on designs and specifications. Putting a regular maintenance schedule into place for the multi use games area will also help to reduce overall costs as it prevents damage and reduces the need for repainting and reline marking of the court surface. Maintenance for a netball facility could include regular brushing and pressure washing to clear dirt and debris from the surface and maintain the high quality anti slip application and line marking. If you don’t keep your outdoor surface properly maintained this can lead to contamination from dirt and moss which compromises the porosity and drainage of the surfacing and can ultimately mean that the netball court starts to flood. 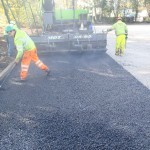 It’s important that you regularly check the surfacing for any signs of flooding or damage so this can be addressed as soon as possible to ensure that the performance and safety of the surface is not affected. Please use our contact form if you would like to speak to a member of our team about applying netball court line marking to your outdoor surface. We will be happy to offer you help with designs and give you an idea of the costs involved.